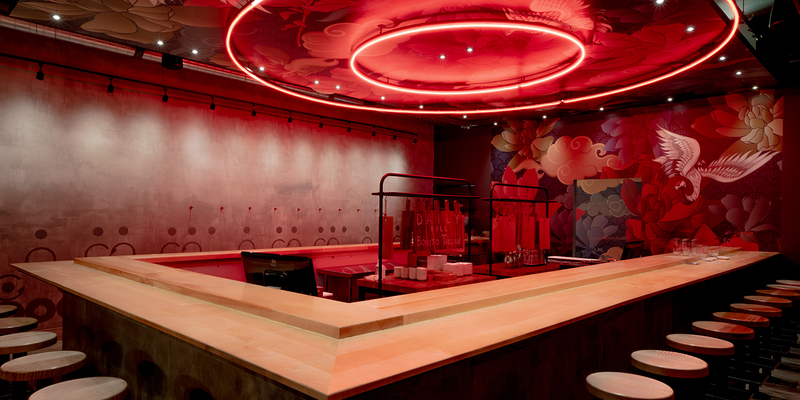 Standing proudly on Toronto’s food-obsessed Ossington strip is Narami - a detail-oriented sushi bar specializing in handcrafted rolls with an exotic and comprehensive sake offering. 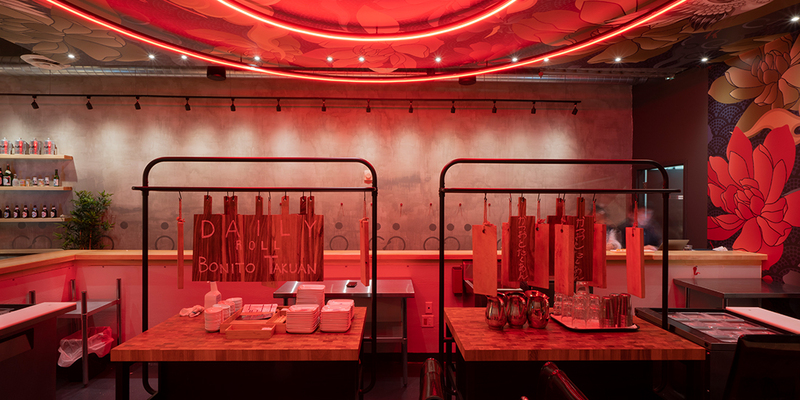 The strikingly minimalist interior is built around a concrete horseshoe bar that wraps around the entire restaurant, serving as the only seating spaces, while inside the ring, the passion and precision of Narami’s chefs are on constant display. 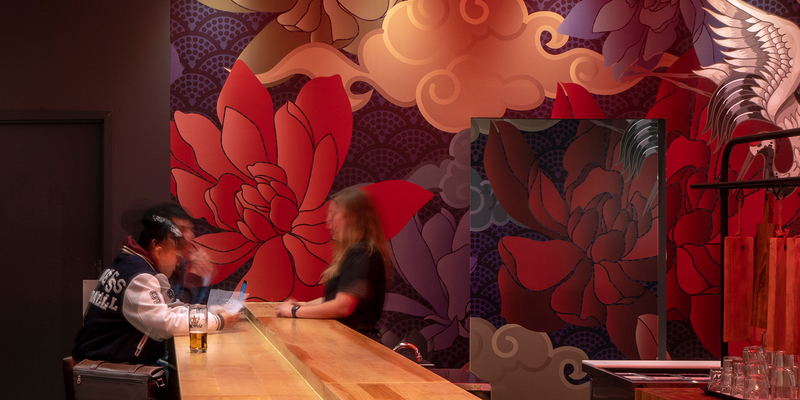 Feature graphics custom-designed by Navigate and inspired by Japanese-tattoo culture wrap the ceiling and focal wall. 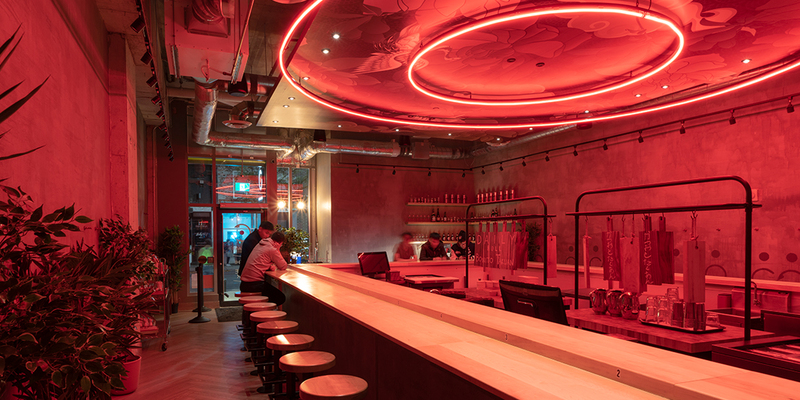 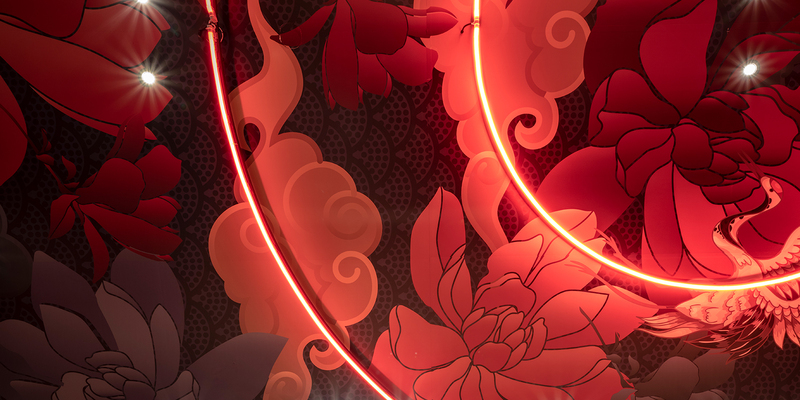 Supersized double-ring neon hugs the ceiling -- a subtle nod to the Narami logo - turning heads from outside and establishing an alluring ambience for patrons.